One of the greatest investments today with the growing economy is developing raw land. Financing for this process is slowly coming back into the market. From forming a plan to buying the land and going through the entitlement process is somewhat time consuming and costly. But the benefits when everything gets completed is normally many times compounded once entitled and permits in hand. If you’ve already made plans, consider your budget next. There are various financial concerns when buying raw land. 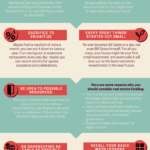 Make sure your money is ready to face all these. 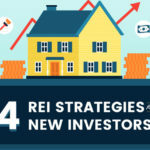 You need to prepare for the due diligence, down payment, conversion, and carrying costs. If you think all these are heavy to handle and makes you want to back out of your dream, fear not, you can take a loan to cover your budget. This type of loan are called land purchase and entitlement loans. Never heard of this before? Well, this is a type of loan which covers a percent of the acquisition & sometimes all the soft costs when you purchase and proceed to have entitlement on raw land. The greatest thing is that if you’re a strong borrower, you’re in luck because you will surely have the best rates and terms. To avoid confusion, the land entitlement process only covers the process of plans, engineering, survey, etc. for land and permit to allow you to build on the land you purchased. It’s not about funding the development part of the process. With a land loan in California, you can surely enjoy the process of buying your very own raw land and seeing your development dreams come true. After you have dealt with your budget, next comes the search for the perfect land. Remember to go for the one which hits your price range and meets your requirements. You can hire a professional to help you locate just the right parcel. Or maybe you’ve already found the right one. When you have finally found the land that you’ve been looking for, make sure that these concerns are properly achieved. One, there should be access to sewage and water. Second, make sure the property has access to a road so that it would not be too difficult to go around places when you need to. Third, know the environmental restrictions around the area. For example, if you’re planning to build a farm, you have to make sure that your land is in an agricultural development zone. Fourth, ask questions of the seller, sellers agent, your agent, and all municipalities from city to federal that may have jurisdiction over the location your in. No matter how little or big, silly or serious it may sound, better ask upfront, rather than regret later. Fifth and last, go and see the raw land yourself. This is where land purchase funding becomes really useful. For owners who are a little tight on cash, there’s no reason to fret. 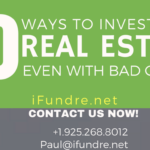 iFundre.net has a special program which allows funding up to 60-65% of future value and up to 100% loan to costs when your land is off to become a great project and is located in a progressive metro area with strong market demand. Of course there are a few risks that you need to be ready from that’s why you need to have a sure exit strategy. In line to that, you definitely need to have a lawyer &/or professional brokerage when you conduct such a transaction, just to be safe. Having a lawyer or agent/broker on your side can assist you in making sure that the transaction between you and the seller is fair. This part of the process of buying raw land usually takes a longer time than planning what to do with the land. Basically what you should do is to inspect and have a feasibility study. This process can be expensive so you can request the seller to pay at least their part of the due diligence. After that, you should choose to hire your own surveyor or civil engineer just to know about the soil, the topography, the potential value as well as the where and the how of building your project. You can also visit the county offices of Building and of Planning and Zoning, Health Department, utility companies, and Department of Environmental Protection to ask more specific details about the land you purchased and its surroundings. After completing your due diligence and seeing that everything is as smooth as it should be, you are now ready to close on the property. You should have a land contract, the deed, and a closing statement to complete the purchase, and always use a title company or closing attorney in your area. These are just an overview guide in buying your own raw land. Do more research and planning. Read more materials and ask advice from professionals or from people who have successfully accomplished this before. But remember, don’t let your lack of funds stop you from building your dreams, because there’s always iFundre.net to back you up.